The shoulder is one of the most commonly injured areas in the body. Whether you work at a desk and sit the majority of your day or are working overhead, the shoulder can be a common area where athletes and clients have pain. There can be a multitude of factors as to why someone may be experiencing shoulder pain ranging from mobility limitations at the shoulder and thoracic spine to poor motor control at the scapula and shoulder. Exercise technique can also play a factor in this as well. If you have experienced shoulder pain and are looking to get back to overhead pulling, you should be able to exhibit full overhead mobility. A quick and easy test for this is checking your passive shoulder flexion mobility. -Flat back to the ground. The long head of the triceps also crosses the shoulder and should be assessed to make sure this is not limiting overhead shoulder flexion. -Upper arm flat on the table with the elbow flexed. If you cannot attain these positions, try performing self-myofascial release to your lats, posterior rotator cuff, pecs, and triceps. If you are able to perform these 2 movements without compensating as mentioned above, then you have sufficient mobility at the shoulder for overhead pulling. Another area to make sure has sufficient mobility is the thoracic spine. The thoracic spine dictates the position of the shoulder blade because the shoulder blade rests on the rib cage and the ribs articulate with the thoracic spine. 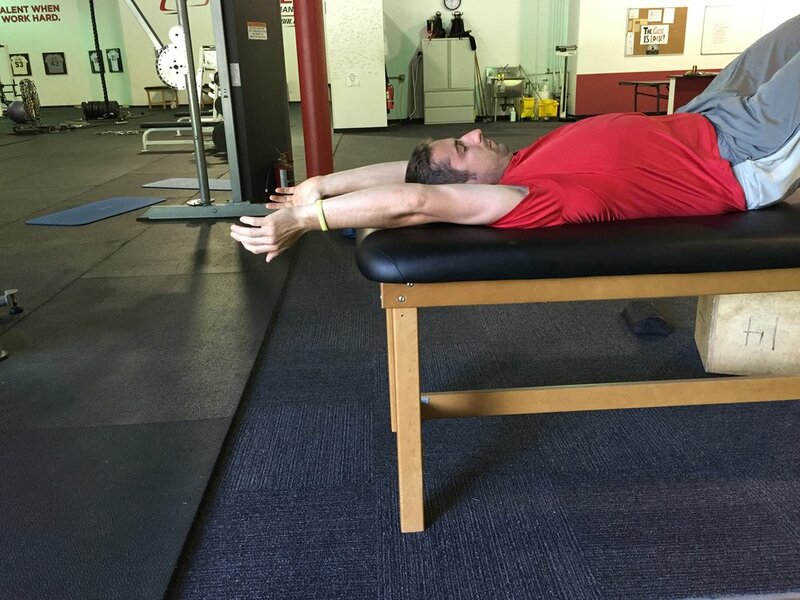 To make sure you have sufficient thoracic spine mobility, try the Passive Quadruped Thoracic Rotation Assessment. Give these a try if your thoracic spine mobility is limited. Make sure to check out Part 2 of next week on how to progress back to overhead pulling!